Almost everyone starts their year off with well-intended resolutions for self-improvement and dream fulfillment. But how many people actually follow through? This year, we hope your wheelchair van or other mobility solution gives you the opportunity to check off ‘travel’ from your New Years Resolution list! Here are some ideas for accessible attractions to travel to solo or with your friends and family. The St. Louis Science Center is not only free to get in, but is fully handicap accessible and also offers complimentary wheelchairs for use throughout the building. This interactive museum includes a multitude of attractions, such as a planetarium, an IMAX theater, and multiple exhibits designed to combine science, knowledge and fun! 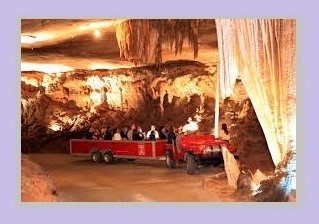 Spelunking can be dangerous even for the most experienced cave explorers, but Fantastic Caverns of Springfield, Missouri makes cavern discovery safe for both children and wheelchair users. Put on your favorite playlist and get in your handicap van to drive just about 3 hours from either Saint Louis, KC or OKC (or only 5 hours from Memphis) to explore. This tour through the underbelly of Springfield is taken by train so everyone can participate! President Roosevelt may not have owned a handicap van, truck or SUV but was himself a wheelchair user after his polio diagnosis, so his house was built to be accessible originally. This unique snapshot of the Americans with Disabilities Act’s history not only offers information on one of America’s most recognizable presidents, but also a look into how past generations handled accessibility issues in their homes and communities. It’s only a 3.5 – 4.5 hour drive from our two upstate New York branches and a 2 hour drive from NYC. 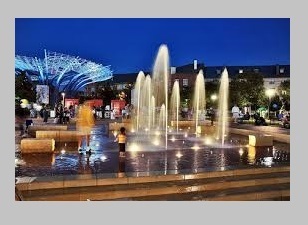 Addison Circle Park is one of the most popular destinations for weekend fun in Dallas. This ten-acre arena hosts live music, botanical gardens, and accessible hiking for patrons of all ages. 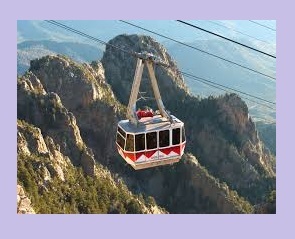 Sandia Peak has a fully wheelchair accessible tramway that boasts one of the most spectacular views in the country – especially during the colorful desert sunset. Bring your wheelchair van to Albuquerque for breathtaking nature sights and beautiful canyons! This is a short 20 minute drive in your handicap van from our Albuquerque location or less than 4 hours from our El Paso location. So grab your wheelchair van and discover a new point of view this year! 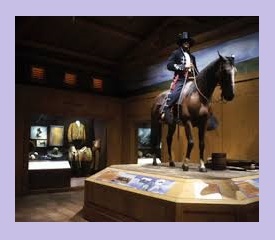 This unique museum is the headquarters for western history in the United States. With its fully handicap accessible premises and free wheelchair rentals, the National Cowboy Museum offers art, artifact galleries, and even an interactive children’s space! Martin Luther King Jr’s assassination is not something that Memphis locals take lightly. In order to honor the late Reverend, the Lorraine Motel was converted into a Smithsonian quality museum to both remember his message and educate future generations. 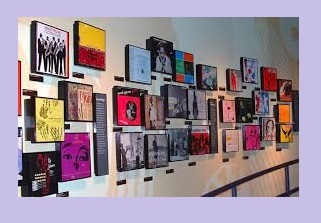 With notice, the museum arranges tours for the hearing and visually-impaired guests. Drive down to Memphis in your handicap van and enjoy both the city and it’s rich historical importance. 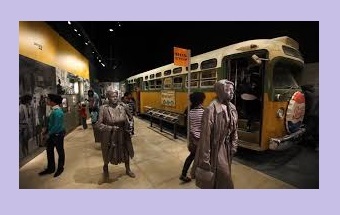 If you happen to be taking your wheelchair van across the Midwest, then a stop at the American Jazz Museum is a must! Located in the historic jazz district, this live music venue also offers permanent and traveling exhibits, guest speakers, and storytelling. The museum is wheelchair accessible. Drive down to San Diego in your handicap van for beautiful weather and a unique amenity for those in wheelchairs. 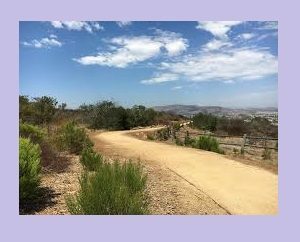 On September 6, 2016, San Diego opened the city’s very first fully accessible hiking trail. The trail’s namesake lost his personal battle with Multiple Sclerosis in 2016, but all who traverse this 1,100 foot trail are grateful for the eight years this man spent advocating for the trail. 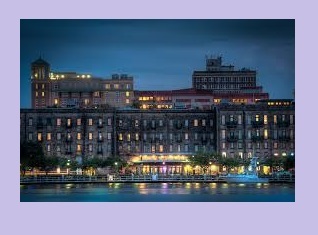 While most of Savannah, Georgia is accessible to people in wheelchairs, the River Street area right on the water is an especially beautiful attraction! This stretch along the water offers antique shops, boutiques, pubs, restaurants, and art galleries for anyone wanting to experience the authentic Old South. What’s holding your accessibility back? At United Access, our goal is to ensure that people with physical disabilities can have the independence and freedom to live life to the fullest. Whether that means pursuing a career or vacationing with family members, we strive everyday to bring mobility to our customers. 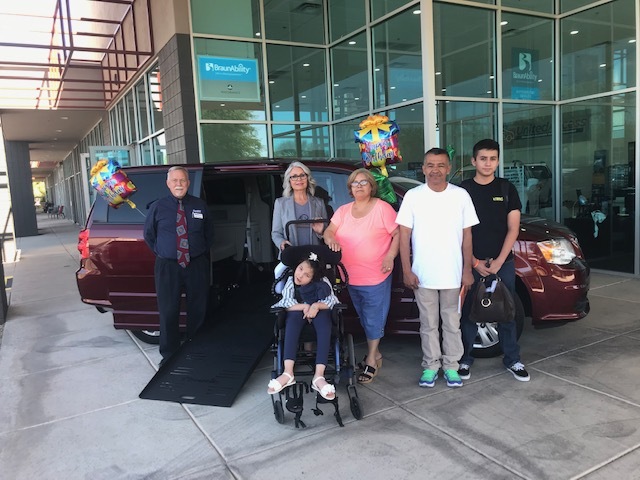 This year, check some sights off your wish list with your United Access new or used wheelchair van or handicap van rental! Need to rent handicap van for a day or weekend? Do you live in one of these cities and want to rent a handicap van for a day or weekend to enjoy a short travel trip with a loved one or on your own? We can assist. Contact us today to discuss your options for renting a fully accessible, side-entry wheelchair accessible van. More information can be found on our Rental Information Page.